Adelaide Airport’s latest masterplan has been approved. Adelaide Airport Ltd has gained federal government approval for its latest masterplan, enabling it to push ahead with plans to significantly expand its aviation and commercial facilities. The 20-year plan envisages investment of about $1 billion in new and enhanced facilities including expansion of the passenger terminal and development of a “business district” within the airport, as well as construction of a hotel linked to the terminal. 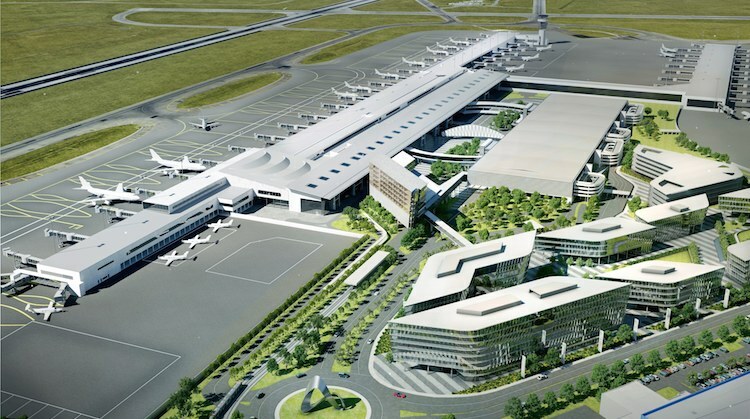 The managing director of AAL, Mark Young, said the approval “puts in place the blueprint for significant infrastructure investment” at the airport, which would advance the ambition to become a a top tier airport business centre in the Asia Pacific region. The masterplan provides the framework for the more ambitious 30-year vision, which would potentially add another $1 billion to investment. Potential infrastructure projects over the next five years include a hotel, expansion of the southern end of the main terminal, more airline lounges, expansion of the international arrivals hall, additional international arrival gates, and more retail space, Young said. The projects were expected to add about 3,500 jobs to the airport workforce, taking total numbers to about 12,000 within five years. Meanwhile the airport remains on track to increase passenger numbers from 7.7 million last year to about 8 million this year. I wonder if this expansion will lead to Qantas getting interested in flying internationally from Adelaide?